Curry Leaves chutney, its a wonderful side dish for idly, dhosa and chapati. Curry leaves are also good for health and good for hair growth. 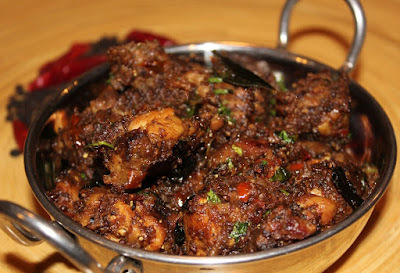 Can you all try this and enjoy the wonderful taste of Indian recipe. STEP 1 - Wash curry leaves in lot of water and drain it. STEP 2 - Soak tamarind in little warm water. STEP 3 - Fry chana dal in a pan till lightly golden. STEP 4 - Add red chili and fry them too till it crisp. STEP 5 - Set these aside to cool. STEP 6 - Fry curry leaves until get crisp and let them cool. 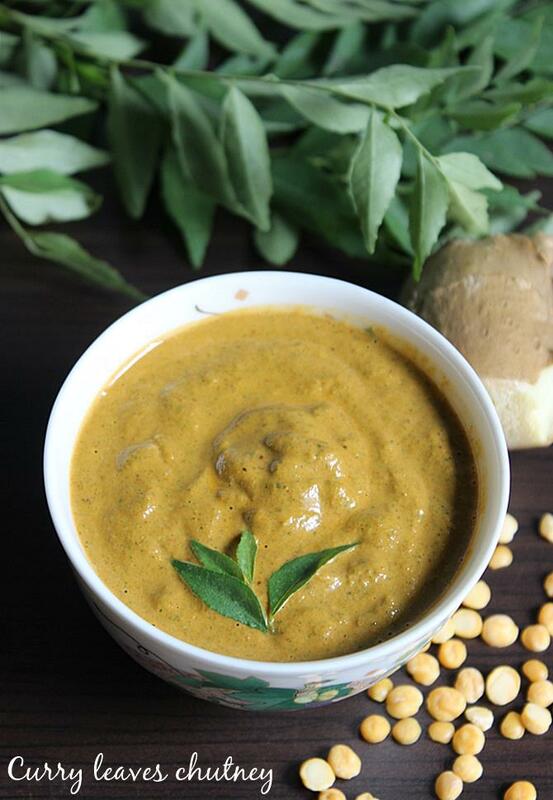 STEP 7 - Add ginger garlic paste, tamarind paste, roasted chana dal, salt, red chili, fired curry leaves to the mixer. STEP 8 - Blend everything together with enough water. Curry Leaves chutney is ready to serve.